ATHENS — An Ohio University professor has been suspended, and will not be teaching classes this semester after university investigations into claims of sexual harassment. Yusuf Kalyango was accused of sexual harassment by at least one woman, but sources within the School of Journalism say there is a second complaint of sexual harassment against Kalyango, and an allegation of retaliation related to one of the sexual harassment investigations. In the memorandum of findings written by ECRC and obtained by WOUB, allegations of quid pro quo (this for that) sexual harassment were subtantiated against the professor. Also substantiated were allegations of sexual harassment by hostile work environment and harassment based on gender. 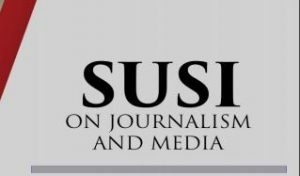 In the case summary, the respondent (the person accused of harassment) is described as the head of the Young African Leaders Initiative (YALI) and Study of the U.S. Institutes (SUSI) programs at OU. In a profile on the Scripps school’s website, Kalyango is named as the head of those two programs, both of which are funded by the U.S. Department of State. Investigations done by ECRC can be substantiated based on a “preponderance of the evidence,” meaning there is enough evidence to conclude “it was more likely than not the allegations were true,” according to the ECRC documents. The woman who accused Kalyango was a first-year graduate student in the school and was invited to participate in the YALI and SUSI programs. “Additionally, two emails were produced that contain overly-familiar communications from a professor to a student: the winking emoji and (Kalyango) telling (the woman) to have ‘sweet dreams,'” documents stated. When provided an itinerary, Kalyango allegedly said only one hotel room was available at the resort where they would be staying. “(The woman) immediately rejected this as being inappropriate, although (Kalyango) allegedly attempted to convince her otherwise,” the summary states. The professor denied that he asked the woman to share a hotel room, but ECRC investigators said he also “provided a number of inconsistent and contradictory…explanations” during an interview about the claims. Investigators found that evidence and witness corroboration proved the allegations true. 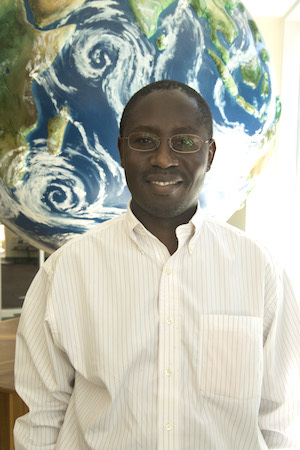 “Because (Kalyango) has provided no reasonable, non-sexual rationale for requesting that (the woman) share a hotel room with him, the only reasonable objective perspective is that a full professor requested that a graduate student…place herself at considerable risk for inappropriate, sexual advances by (Kalyango) thousands of miles from home and in a country with which (Kalyango) is familiar and comfortable but where (the woman) would be nearly completely dependent upon (Kalyango),” ECRC documents state. Kalyango also told investigators he paid for the Rwanda trip out of “his” money “because it could not come out of the grant money,” according to the findings of fact. After she rejected the hotel room arrangement, the woman told investigators Kalyango “began to treat her differently,” including strongly criticizing the work she’d done with the YALI program. “This, combined with the (woman’s) concerns about (Kalyango’s) treatment of her if she continued working with the SUSI program, compelled (the woman) to resign from her position in the SUSI program,” investigation documents stated. WOUB reached out to Kalyango, who declined to comment at this time.